Blinking Owl totally satisfies our creative spirits. Upon looking at the exterior of the Blinking Owl Distillery, nothing would indicate that the interior has anything more than a simple industrial layout. But once you walk in, you will find an impeccably designed tasting area that you would steal all the decor from if you could. 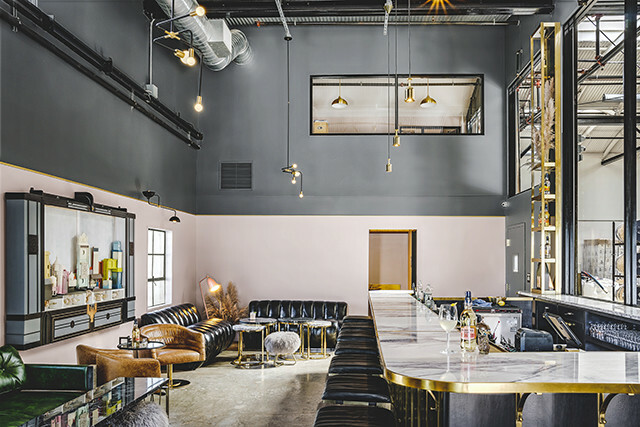 Located in Santa Ana, California, Blinking Owl is one of the first distilleries in all of California with a tasting room, and boy, did it get the design on point. 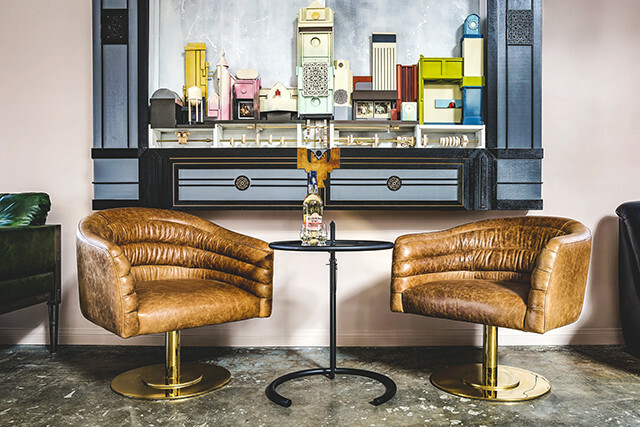 Owner Robin Christensen said, "I wanted a space that oozed the sexiness of the 70’s while bringing in elements of other signature time periods that might consciously or subconsciously evoke a sense of swanky cocktail culture." The distillery serves up its own craft vodka, gin, whiskey, and Aquavit (a Scandinavian spirit) at a gorgeous gold and marble bar with a view of the incredible machinery behind. 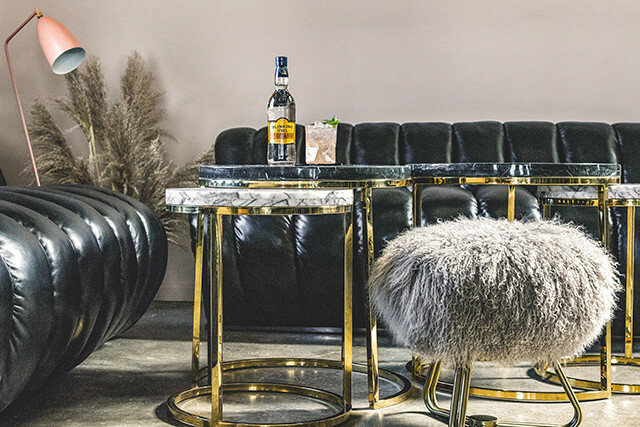 "Although we were in a true, industrial space, I wanted to bring an unexpected luxury where our patrons could experience a well-crafted spirit in a well-crafted cocktail," said Christiansen. "I clung to Diana Vreeland’s sentiments, 'Don’t give people what they think they want, give them what they don’t know they want yet.'" Not only are the spirits delicious, but the company has a goal to create its products with 100% locally sourced grains, fruits, and botanicals. On weekends, guests can take a tour of the distillery and get a full flight tasting of the specialty sips. Visitors can also come in to enjoy the space during the Tasting Room's open hours. 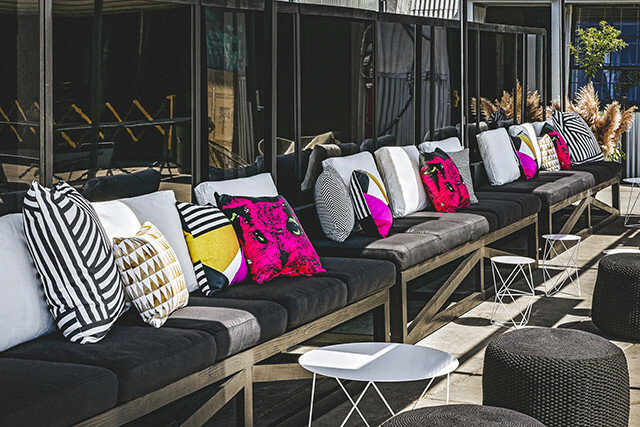 Of course, since the distillery is located in sunny SoCal, we would like to lounge with our liquor on the comfy patio furniture. 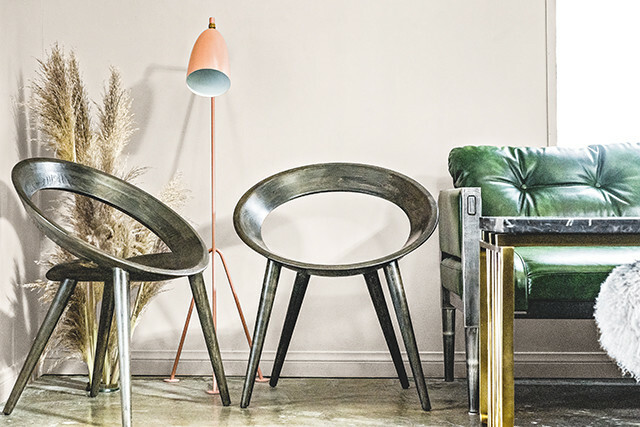 Are those Eric Trine tables we see? With all the pretty decor and delicious drinks, a trip to the Blinking Owl is pretty hard to pass up.